(Q) Now the weather's improving I'm out a lot with my dog, Honey. Her recall's not brilliant so I'd like to know how to improve it. 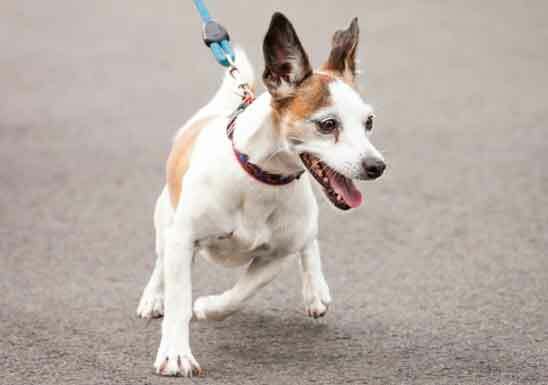 (A) Battersea canine welfare trainer Nathalie Ingham says: If you want to be able to exercise your dog off the lead in an open space, you need to know your recall. Being able to recall your dog if he runs too near to an exit in the park, is showing too much interest in the ducks on the pond, or wants to play with a dog who isn't so keen, is vital. And it's all part of being a responsible owner. Follow these steps and you and Honey should quickly catch the recall bug! Have something that Honey really likes such as her favourite treat or toy. At home, when Honey is next to you, say your cue: ‘Honey come!' and then give Honey the treat or play with the toy. Repeat this. Have a happy and excited tone of voice, and stay relaxed and patient. When you start to practise the recall out on your walks use a long line. If Honey gets distracted gently reel her in using the long line so that you can reward her. Avoid calling Honey repeatedly as this will weaken the association between your cue and the action of recalling if she ignores it. As Honey gets the idea, move a little distance from her so that she is moving towards you to receive the treat or toy. Remember to relax your body language, crouch down, with open arms, and smile. Always be positive when calling her, even if she's just done something you didn't want her to do. You want her to always enjoy coming back to you and know that you're exciting and fun.